Thank You Pages and Transactional e-mailers – The Untapped Goldmines for Marketers!! – Digital Anglez - A platform for Marketers & Thought Leaders! Thank You Pages and Transactional e-mailers – The Untapped Goldmines for Marketers!! – Digital Anglez - A platform for Marketers & Thought Leaders! Thank You Pages and Transactional e-mailers – The Untapped Goldmines for Marketers!! Well, Marketers know how to generate leads through various digital mediums, be it through Internet Advertising, SEO, Social Media or through the content marketing efforts. But, the challenge always is how to nurture leads and engage them further and make users transact and more importantly make them repeat transactions. So, how do we do that? The answer to it is simple…by leveraging on the first & secondary touch points, i.e. 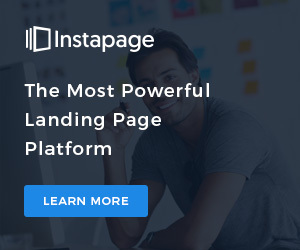 – Thank You pages of your landing pages and Transactional mailers! Enable ‘Thank You’ pages – for all your registration pages, like your – download whitepapers/ e-books; lead generation registration forms, product purchase page, e-mail subscription form, even your e-mail unsubscribe option. Enticing – It needs to be catchy to grab user attention, as there is a high probability of user to bounce off as soon as he/ she finishes the transaction. Relevant – Even if the page is enticing, but is not relevant still your user would bounce off as they might not find anything relevant post the transaction. Action oriented – Ensure that your Thank You page encourages secondary conversions and engagement. Use tools like Instapage for creating beautiful mobile responsive pages. It’s quick, easy and has high conversion rates. So, even if your user clicks away from the Thank You page, they will still find your content in their inbox which might help them make their first or secondary transaction and engage with your brand. People also tend to share content by forwarding email to their family and friends, so these kinds of e-mailers get you the opportunity to reach New Audiences. It has been seen that, Thank You and Transactional mailers leads to a 2x increase in Open Rate and CTR and increase conversions and engagement with a brand. Use mailerlite for all your email marketing requirements as it’s an excellent tested tool with better features than its competitor and is useful in creating and sending elegant mobile responsive mailers. Do not ignore the power of good Thank You pages and Transactional mailers. Create enticing design and messaging with the most relevant CTA’s. Use animated pages if possible. But ensure you do not overdo it with your first-time customers as it might turn them off. Marketers put huge efforts & cost to get App installs, but they can simply use, Transational emails, password reset emails and Thank you pages to get mobile app installs. Use QR codes as well so that users opening email on desktop devices can scan and install the mobile app. Use a secondary form if required, but remember the offer should be super exciting for the user. Optimize! Do an A/B testing. Monitor what is working and what is not and optimize your pages and mailers accordingly. Thank You Pages and Transactional mailers are untapped gold mines which can help achieve your objectives (or at least get closer to them) if used correctly. Spearheads the Marketing function for, Brand, Marketing (with a specific focus on Digital Marketing) & Strategic Innovation for B2B & B2C, globally for a reputed Indian MNC. An MBA in International Business & Marketing and a certified Digital Marketing Professional. He is an Automobile Enthusiast who loves to Travel, is a nature lover, a blogger and a curious soul who loves to learn new stuff and ideate. How is ‘Voice Search’ changing digital marketing? Spearheads the Marketing function for, Brand, Marketing (with a specific focus on Digital Marketing) & Strategic Innovation for B2B & B2C, globally for a reputed Indian MNC. An MBA in International Business & Marketing and a certified Digital Marketing Professional. He is an Automobile Enthusiast who loves to Travel, is a nature lover, a blogger and a curious soul who loves to learn new stuff and ideate. WhatsApp Business – The quicker way to communicate with your consumers!! TripAdvisor – In a brand new Avatar! Get Borderless Access with New features in Facebook Lookalike audience!